It is, once again, September 11. 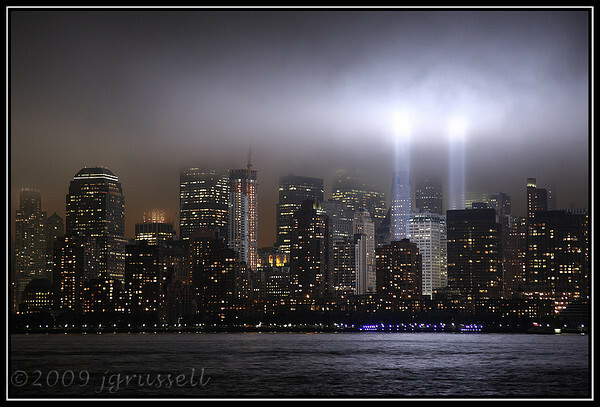 A different September 11th from that one, 13 years ago. That September 11th was one of those glorious days we sometimes get in early September, with crystal-clear blue skies and a hint of crispness in the air. Today, it is warm and humid, with a chance of rain and thunderstorms. That September 11th was a day for looking forward. Today, it is a day for looking back. That September 11th was a day when more than 3,000 men, women and children were alive, healthy, strong. Today, they are names on the walls. In New York, they are inscribed in brass. They begin with Gordon M. Aamoth, Jr. They end with Igor Zukelman. In Pennsylvania, they are chiseled into stone. They begin with Christian Adams. They end with Kristin Gould White. At the Pentagon, they are in steel and granite. They begin with Paul W. Ambrose. They end with Yuguang Zheng. They were Americans and British and Pakistanis and Dominicans and Indians — citizens of more than 90 countries. They were men, and women, and children. On that day, they were as old as 85 years. They were as young as two. Some were as yet unborn: eleven of the women were pregnant on that day. And on that day, 13 years ago today, the light each of them represented in this world was snuffed out. Some died in an instant, vaporized by fireballs. Some died long agonizing terrifying minutes later, trapped in the smoke and the flames. Some died jumping from the upper floors of the Twin Towers. Or lost in the smoke-filled labyrinthine corridors of the Pentagon. Or in a field in Pennsylvania. • At 8:46 a.m., the time when a plane piloted by murderous fanatics slammed into the North Tower of the World Trade Center. • At 9:03 a.m., the time when a second plane piloted by even more murderers slammed into the South Tower. • At 9:37 a.m., the time when a third plane crashed into the Pentagon’s west side. • At 9:59 a.m., the time when the South Tower imploded and fell, raining debris and ash on the city. • At 10:03 a.m., when yet a fourth plane crashed into a field in the Pennsylvania countryside. • And at 10:29 a.m., the time when the North Tower fell. And as the names are read, we who survived that day will weep. For all that was lost. For all that should have been. For the pain of all who loved them. We will not let those lives be forgotten. So today I pause again to reflect. Only days after that day, in 2001, I stood in the wreckage of lower Manhattan. And I made a promise that September all those years ago. A solemn pledge that I would remember. And as in years gone by, it is time again now to remember. To open, once more, the film cannister into which I brushed some of the dust of Ground Zero. To touch that dust with my own hands. And, once again, to stand witness. To make sure that I do not forget. That we do not forget. That no-one forgets. That all those lives will never be forgotten. 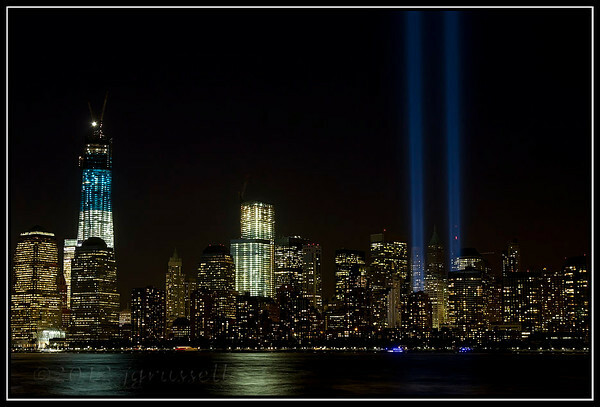 To say, one more time, this year and every year, as long as I have life and breath, in words and images, NEVER FORGET. Images: © Judy G. Russell. A very moving tribute Judy. …but there really is nothing more to say, Judy. No words to really express our feelings—the shock and horror of knowing that our beloved country had been so brutally attacked, that many innocent people had died, that those people all had many people mourning them. It was, and is today, impossible to adequately express our feelings and fears on that day. Tom and I were in France when we got the news, and all I wanted to do was come home—that wouldn’t happen for a week and a half. Oh I know that feeling oh so well. I was traveling home from Belgium when President Reagan was shot. All of the Americans in the British Airways lounge huddled together. There was nothing we could do, nothing we could say, but oh… how we wanted to be home. As always, beautifully written. And like I do every year, I will now go back and start at year 1 and read every post again. The Lady in the Harbor has tears in her eyes tonight. Her heart has been broken but everyone can see her light. A tiny baby, a young teen, a sweet mother, even an old man full of grace. God, please help us with your infinite care. We know you will always be there. Help America make her well again for the sake of us all. This is a land of Liberty. Sharon has asked me to help her share her poem, just keeping her name associated with it as the author. Lovely… thanks for sharing it. Thank you. Every year I go to a local (Long Island) beach and put up a small memorial on a chain link fence. This year, I was amazed to find my previous year’s installation was still there. So I embellished it, did my memory walk and eventually came home. I go to the water, because I like to believe those who remains were not found ended up in the sea. I have never watched a televised ceremony. The grief is national, but I think it is an intrusion on next of kin to witness it. Just like I did not go into the churches when funerals were held, but stood nearby and said silent prayers. My sons are still impacted by it. One will never live in NY again. The other, 11 at the time of the attacks, only recently told me how upset he was that I did not come to school and pick him up that day. Many working Mothers did not go directly to their children. Mine apparantly held it against me. I sent him to the beach. Maybe he will move on a little. In his workplace spurned the beautiful memorial in a scenic public garden, so they could have a concise one next to their building. Then it will be business as usual for them. They have moved on too quickly for him. If we could afford it, he would have put in his retirement papers this AM. Efficient is no way to mourn. Thank you for sharing this and for being there in those awful days that followed. I can still smell it at times. Thank you for your beautiful and moving words Judy. Yes, we must never forget. Thanks for the kind words, Jana.